I recommend using an office shredder when you have to discard papers that might contain otherwise sensitive information, such as credit card numbers, login data, or addresses of key clients that you would not want to fall into the hands of someone else. One of the great benefits of shredding is that it's psychologically satisfying to see your papers completely stripped lengthwise, so that no one could possibly put them back together. 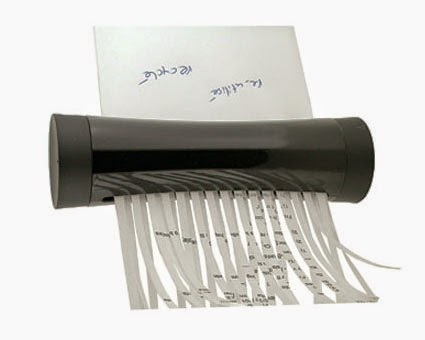 You can also use the shredded paper as packing material for any objects that you're mailing. In that respect, you’re taking care of the environment as well by re-using the paper, and reasonably ensuring that your packages will arrive in excellent condition.